The most common yet crucial first step in any hiring process is often a telephone interview, which plays an important role in influencing the rest of the interview process and hiring decision. With this is mind, it is in the best interest of the job seeker not to dismiss the importance of this round of interview, as you would not be able to progress much further in the process. Given my several years as a recruiter and a coach for many job seekers, helping them to prepare and excel in phone interviews, I have found that following these 5 foundation rules will surely help you ace your interview! This means that your preparation should be as extensive for a phone interview, just as you would prepare for face to face interview. Do your due diligence by researching the company, the position and the required skills. Be thorough with your resume, and be prepared to explain your skills/experience that are relevant to the job. One important thing to note here is that, all the research should be done prior to the interview and not during the interview! Don’t ignore the fact that the interviewer can clearly hear the keyboard typing or papers rumbling while you look for necessary info to answer the question! This might seem pretty obvious, but most applicants take phone interviews rather casually and take calls while driving, when they are with their kids, pets or even in places where there is no good reception. All these distractions will definitely interfere with your train of thought, which will adversely affect your chances of getting shortlisted into the next round of interviews. So avoiding these and giving 100% fo your attention while on the call will positively impact the result of the interview. 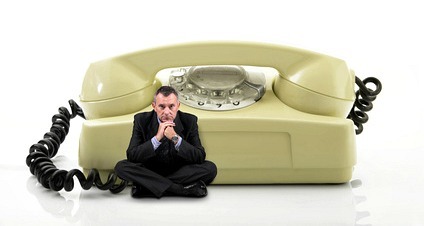 Many agree that it is lot harder to make a great impression on the phone. After all you, can't smile, use eye contact or body language to impress! However there are minor tricks that you can practice, which can set that positive tone. One tip is to smile while on the phone! It may feel a little awkward at first since there isn't a real person in front of you, but you will be more comfortable once you practice. The result? Your voice will sound more upbeat, engaged and you will come across more enthusiastic, which will all translate into being heavily interested in the conversation/interview. Another trick is to stand and speak whilst on the phone, which will help you to speak more clearly and confidently. Many times I have noticed that applicants are so eager to impress that they start answering without completely listening to the interviewer’s question. This is big no- no as you will come across as desperate and not paying attention. Make sure that you listen closely to first understand the question clearly before offering your explanation. Also there is nothing wrong in saying “give me a few minutes to think”- try it! It actually works! Don’t be eager to bridge the silence by using filler words – “you know”, “hmm”, “like” and other such words. A few moments of silence followed by a clear answer outweighs constant rambling which can be annoying at times. Silence is not that awkward! Some candidates are chatty and can go on and on, whilst some like to keep their conversation to a minimum and mostly reply “yes” or “no” for most questions. If you are too talkative, then there is a chance that the interviewer might zone out and get lost in the conversation. If you are too tight lipped, then the interviewer may not really sense your interest in the opportunity and will not be able to fully understand your skills. Both of these don’t work very well and you need to balance your response to about 2-4 minutes for each question and then volunteer to provide more details if necessary. You could ask if it is ok to email them your work portfolio, power point presentation of your accomplishments etc, whilst you are on the phone. By doing this, you can make a stronger impact on the interviewer as they can instantly see your value! Lastly, the more you practice delivering your answers, the more you will come across as effortless and natural. Preparation is the key to excel at any interview. Always thank the interviewer for taking the time and show appreciation. Even little gratitude goes a long way! Also, don’t ever hang up without asking the next steps! Now you are ready to pick up the phone! Opportunity is calling!